Sure, we turn to Instagram for OOTD ideas, but who would have thought the inspiration would come from kids?! 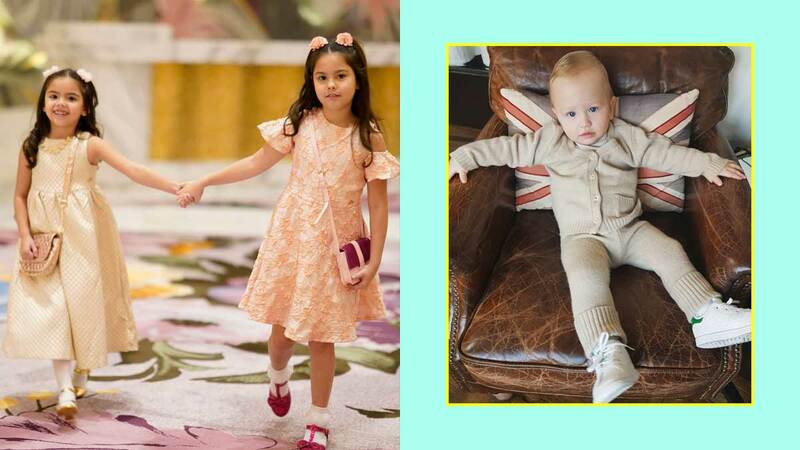 The Kramers' baby girls are already leagues ahead when it comes to dressing up (and posing)! Kim Kardashian's firstborn is already a street style icon at age 5! I don't know about you, but I would definitely buy a pink windbreaker just like the one she has on! Beyonce's daughter doesn't only get featured in her iconic mom's songs, she works killer outfits all on her own, too! I would definitely attempt a white dress + leather jacket combo after seeing it on Andi Manzano's daughter. Marian Rivera's mini me is just as fabulous as she is! I don't know if I've seen anyone look this adorable in a red one-piece. Loving this dress + boots combo! We want that pink furry jacket! Georgina Wilson's son is just a year old, but look at how effortlessly he exudes baby Brit chic in his coat below!